The Power of Video- If a picture lasts forever, video survives into eternity. While this may feel like a heavy burden when considering the power of video in society, it’s actually a window into the opportunity that video offers. Video content is the single most consumed form of media. From television to movies to online video content, billions of people consume billions of hours every single day. Not only do most people access their news this way, but it’s also the primary form of entertainment. Increasingly, it also occupies a firm position in the world of communication. The “how to” portion of YouTube’s online video library grows steadily every day, increasing exponentially year to year. The popularity of video isn’t surprising. Because it is a multisensory experience, it is engaging on a level that most other mediums are not. The use of music, sound effects, tone of voice, and background sound draws the auditory interest of the consumer. The camera angle, color schemes, props, facial expressions, and actions portrayed in video catch the eye. The level of emotion and the video topic creates a connection between the consumer and the product or experience of the actors. All of these elements combined together make the video medium incredibly compelling, and in many cases, irresistible. 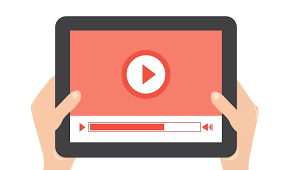 Over the decades, video has been used to share information, create experiences, tell stories, provide think pieces, market and sell products or services. It’s been universally embraced, so it’s not surprising that the ordinary individual has now harnessed the power of video. Today, video is no longer used just by those with the professional know-how. It’s used every day by millions of people as a way of preserving memories and sharing their lives. More and more people rely on this medium to connect with far-away friends and family, to share their opinions or to respond to the issue of the day. In this way, video imaging really has become the primary way for people to engage in technology and still connect personally in an increasingly accessible and fast-moving world. As these connections gain the strength, it’s important that businesses embrace this way of life. The Power of Video won’t change soon. Video isn’t just the trend of the day; it’s become firmly embedded in our communication and the ways we seek out information and stories. Brands are wise to include it in their marketing strategies, focusing on getting their message quickly and effectively into the hands of as many consumers as possible. While video can be used for a tremendous amount of good it is vital to keep in mind that the internet remembers forever. The power of video is so profoundly immense; it must be respected and treated with the care the medium demands. The world is unlikely to veer away from a full embrace of this medium anytime soon, so use it with care, but use it. eEndorsements enables small business and individual professionals to capture and share video testimonials. Find out how.